Washington, D.C. (December 7, 2018) – The Schools, Health & Libraries Broadband (SHLB) Coalition announced this week the addition of TeleQuality Communications (TeleQuality) CEO Tim Koxlien to its board of directors for 2019. Koxlien was appointed by the current board of directors and will begin his three-year term on January 1, 2019. 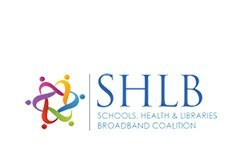 "SHLB is the only voice representing the common broadband interests of community anchor institutions, local and state government entities, and service providers. Under John Windhausen's leadership, our members receive the benefit of a well-respected, hard-working, and dedicated organization. I, as well as team members from ENA, TeleQuality’s parent company, are grateful to be a part of the work that SHLB does in helping to solve broadband problems throughout the US,” Koxlien said. TeleQuality Communications (TeleQuality) provides healthcare organizations with cost-effective and tailored network and communication solutions supported by exceptional customer care. In 2018, TeleQuality and Education Networks of America, a leading provider of transformative technology solutions to education and library communities, joined forces to help bring critical connectivity and communication services to America’s community anchor institutions. For more information, please visit www.telequality.com, call 210-408-0388, or email solutions@telequality.com.